An indoor dog litter box can help transform your puppy into the perfect pet; one that has the unique combination of the loveable affection only found in man's best friend and the independence of a cat. 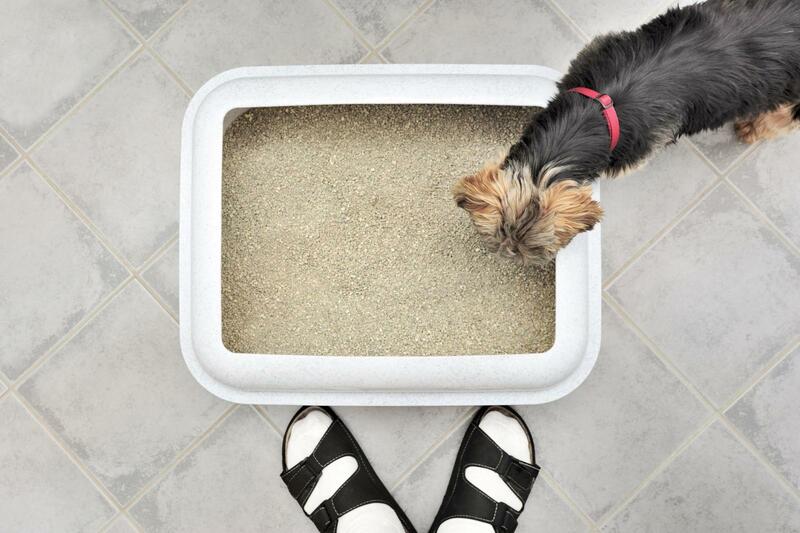 There are a wide range of styles, sizes and types to choose from, and plenty of things to consider when shopping for the perfect litter box for your pup. Some look identical to cat litter boxes. In fact, a cat litter box may be a suitable option for a small dog. Some dog litter boxes have synthetic grass while others use actual grass. The "grass" boxes come either with raised sides to minimize splashing while others are flat for a more natural feel. 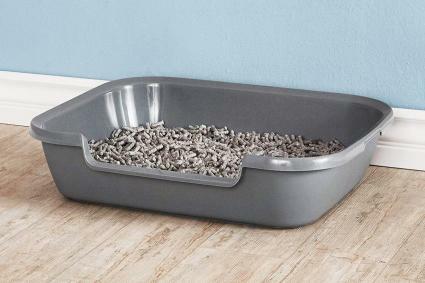 Other dog litter boxes feature solid bases with removable screen systems that use regular cat or dog litter. After the dog goes potty the screen can be lifted to sift the good litter back into the pan while the waste remains in the screen. You can find dog litter boxes at most pet supply stores as well as online vendors. Take measurements of your dog beforehand to ensure the box is a good fit. The Petmaker Puppy Potty Trainer uses a three-layer system with a layer of synthetic grass on top of a plastic tray which drains into a second plastic tray on the bottom. It's cleaned by washing the three parts with soap and water. It comes in small (16"x20") for about $15 and medium (20"x25") for about $22. You can purchase replacement synthetic grass pads. This litter box has a simple design that looks just like a cat litter box. The pan has high sides to keep urine from splashing. The plastic tray is easy to clean and empty without any additional parts. You will need to use puppy pads in the box or So Phresh Dog Litter. The box comes in large and small. The small is 19.5 inches long by 14.5 inches wide with a depth of 5 inches. The large is 19.5 inches long by 23.5 inches wide with a depth of 5 inches. The large retails for about $25.00 and the small for $20. If you like the idea of a box with grass, this is a perfect choice for you. The grass is live hydroponic grass and it helps keep down the smell compared to synthetic grass. The tray is made of recyclable cardboard. The grass and box is disposable and replaced every few weeks. The price runs between $26 and $34 depending on size. Once you buy the box, you sign up for a plan to receive shipments of new grass which can occur once a week or every two, three or four weeks. Delivery plans are between $26 and $27 per shipment. You will also need a drill and screwdriver and if you cut the wood yourself, a circular saw. You can also have the wood cut for you at many home improvement stores. The dimensions can also be shortened to adapt to smaller dogs and spaces. Large breed dogs may do better with a grass box with flat sides as it's more comfortable. Dogs that dig can make a mess of the litter and are a better candidate for the grass boxes. If your dog has been trained to go outside, it may be easier to train them to use the grass boxes as they're used to the look and feel of a grass substrate. They say you can't teach an old dog new tricks, but even older dogs can be trained to use an indoor litter box. However, it's important to note that the process of litter box training a dog can be time-consuming. In order to train your dog to use a litter box, it takes consistency, dedication and quite a bit of patience. After all your hard work, you'll be rewarded with a dog that can use an indoor dog litter box during those long stretches of time when you're not home. The end results include fewer indoor accidents, no more ruined furniture or floors, less time cleaning up messes and, best of all, a happier, healthier pet. Indoor dog litter boxes are a good choice for dogs that need to be alone for a few hours and in small apartments and condos. They also can be a help for older dogs who have trouble walking outside and for dogs in colder or hotter climates when staying inside is a more comfortable option.